Portable Toilets Manufacturer in Delhi, Portable Toilets Supplier in Delhi, Portable Toilets in Delhi. 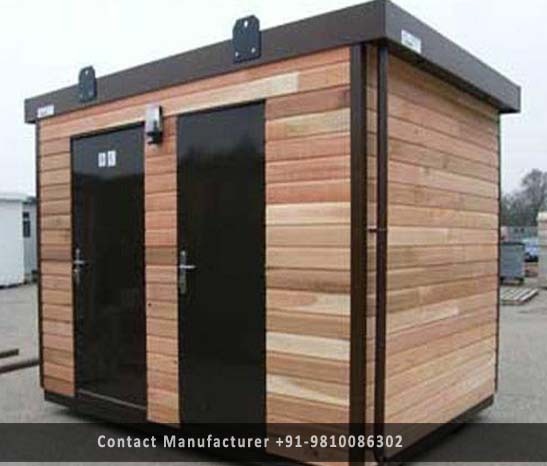 We are offering a wide range of Prefabricated Portable Toilets to our esteemed clients. These portable toilets offered is designed DTH using high grade well known raw material and latest technology. Our offered range is available in various specifications as per client's requirements and can be customized with various options. In addition to this, we are designing with the international standards and norms for providing high satisfaction from all the directions for are coustomers.